Indoor drone race challenge combines elements of FPV, course design and video for a chance to win $5,000! 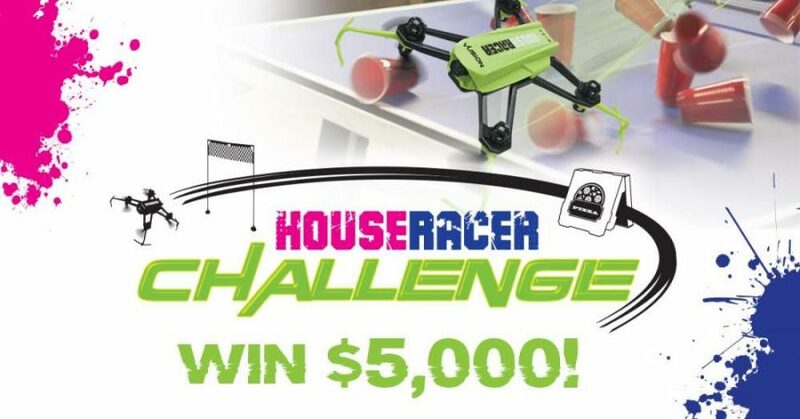 Champaign, IL — March 8, 2017 – Hobbico announces the House Racer Challenge, a video contest featuring the recently-launched House Racer Indoor FPV Race Pack and House Racer FPV Race Gate System. The contest runs from March 8 through April 4 and features celebrity judges. The grand prize is $5,000. The winner will be announced on April 14, 2017. Participation in the contest requires the following steps: Visit a hobby shop to pick up the House Racer Indoor FPV Rack Pack and Gate System. Build an indoor course with the House Racer gates and items around the house. Shoot a video explaining the course and include flying footage featuring the House Racer. Visit explore-rise.com/challenge to submit a video between March 15 and April 4, 2017.